Although there are several types of dental crowns, we will discuss the options and decide which option fits best for you. They are highly durable and will last many years, but like most dental restorations, they may eventually need to be replaced. Crowns are made to match the shape, size, and color or your teeth giving you a natural, long-lasting beautiful smile. 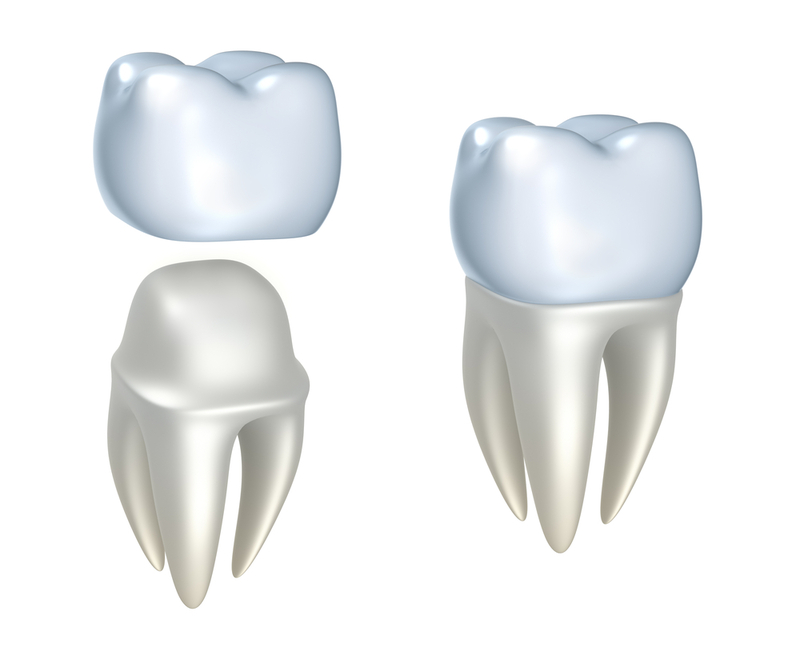 A dental crown procedure usually requires two appointments. Your first appointment will include taking several highly accurate molds (or impressions) that will be used to create your custom crown. A mold will also be used to create a temporary crown, which will stay on your tooth for approximately two weeks until your new crown is fabricated, at one of our carefully selected partners in a dental laboratory. While the tooth is numb, Dr. Stewart will prepare the tooth by removing any decay and shaping the surface to properly fit the crown. Once these details are accomplished, your temporary crown will be placed with temporary cement and your bite will be checked to ensure you are biting properly. At your second appointment Dr. Stewart will remove your temporary crown, the tooth will be cleaned, and your new crown will be carefully placed to ensure the spacing and bite are accurate.